Don’t get me wrong here – this is a very beautiful song, the syncopation is elegant, vocalist Emilie Satt has an amazing voice, and the melody is very pretty. But if the song is about what the Wikipedia article indicates, why is the music video a totally abstract travelogue of French landmarks interspersed with studio shots of the duo singing, pouting, and in the case of the guitarist, looking like he’d want to be anywhere but where he is? There is not ONE “true’ shot of Nigerian refugees anywhere in the video – well, in an abstract for there is, people wrapped in mylar blankets walking at the landmarks above and on the set as well – but it’s not really terribly definitive. I would have thought they’d want to include at least something more directly relating to the subject matter of the song, like news footage of the migrant crisis or something. Geez. The song will probably be a massive hit in France and in other French-speaking countries, but it has a very limited scope as far as non-French success, and I seriously doubt it has any real shot at making the US Charts. France made its EuroVision debut in 1956 (the first year), and has appeared 60 times since then. They have won the Grand Championship five times – with “Dors, mon amor” by Andre Claveau in 1958, “Tom Pillibi” by Jacqueline Boyer in 1960, “Un Premier Amor” by Isabelle Aubret in 1962, “Un jour, un enfant” by Frida Boccara in 1969’s one-of-a-kind four way tie (with Spain, The Netherlands, and the UK), and “L’oiseau et l’enfant” by Marie Myriam in 1977. Their luck ran out after that last win, and they’ve made the top five only twice in the 21st century, and finished last for the first ever in 2014. 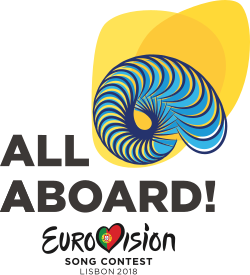 As one of the “Big Five” with Germany, Italy, Spain, and the UK, the song automatically gets a place in the Grand Final.